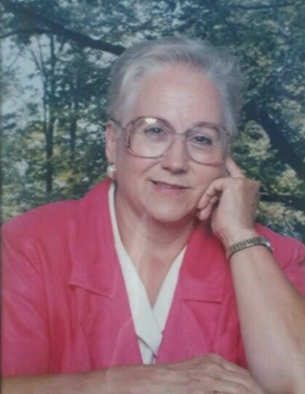 Obituary for Quinella Marie (White) Potter | Penzien Funeral Homes, Inc.
Loving mother grandmother and friend, Quinella M. Potter, passed away peacefully on Sunday, October 7L, 2018, at Grandvue Medical Care Facility in East Jordan. She is survived by John Lashmit loving companion of 20 plus years; children, Jay (Mariska) Potter Sr., Barry (Lisa) Potter and Penny Potter; as well as several grandchildren and great grandchildren. She was preceded in death by her husband, Franklin Potter and son, Franklin Jamie Potter. A graveside memorial service will be held on Sunday, October 14, 2018, at 1:00 P.M. at Barnard Cemetery, 15700 Klooster Road, Charlevoix, Michigan. In lieu of flowers please consider donations to Hospice of Northern Michigan.